ACA is expensive. Your Employment Solutions (YES) uses its customized staffing processes and IS SAVING its clients hundreds of thousands of dollars. My last post, YES Staffing Hires Better, Faster, Cheaper created a little buzz and I was surprised by its positive engagement. I am hoping my post this time around will provide the same type of value as I write a little more about “the cheaper” portion of the above title. 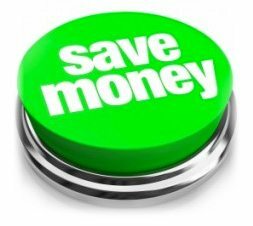 YES has multiple ways to substantially save our clients money but for this post I will focus on a single topic. The ACA (The Affordable Care Act) also know as OBAMACARE. The 3-5% up-charge other staffing agencies are charging is too expensive. Here is an article that explains why staffing agencies are increasing your cost 3-5%.The article speaks of an across-the-board or itemizing increase as methodologies used in passing the cost along to the client. 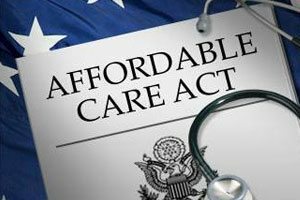 I think most would agree that ACA is not fun to work with, that the rules seem to change every other minute, and the added expense has certainly made business more costly. A 3-5% increase is the easiest way for a staffing agency to justify the cost increase, but it is best way? Why? Because most staffing companies are just guessing their way through, and betting no one will call their bluff. Using assumptions, estimations, and maybes are no way to validate a cost increase to your clients. For 20 years YES has been built on (and continues to build on) what the client wants, not the other way around. YES is not staffing industry spawn off or a spin-off from another agency. YES was not started from disgruntled employees seeing things differently only to start their own staffing agency. We operate with integrity in all things. From IT to human resources and finance to sales, YES is built to handle unfavorable business changes like these and create practical solutions without handing a blanket 3-5% increase to our clients. So even though ACA is expensive, Your Employment Solutions (YES) uses its customized processes to work through it and is currently saving its clients hundreds of thousands of dollars. If you currently work with a staffing agency and are interested in finding out how YES can be an affordable employment solution for you, please contact me. Your Employment Solutions is Utah’s premier staffing agency! How Much Money Can I Make Working at a Staffing Agency?